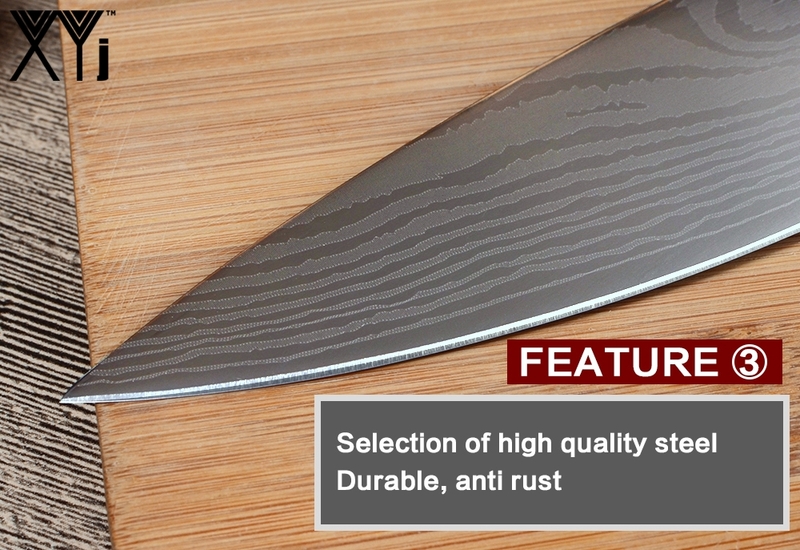 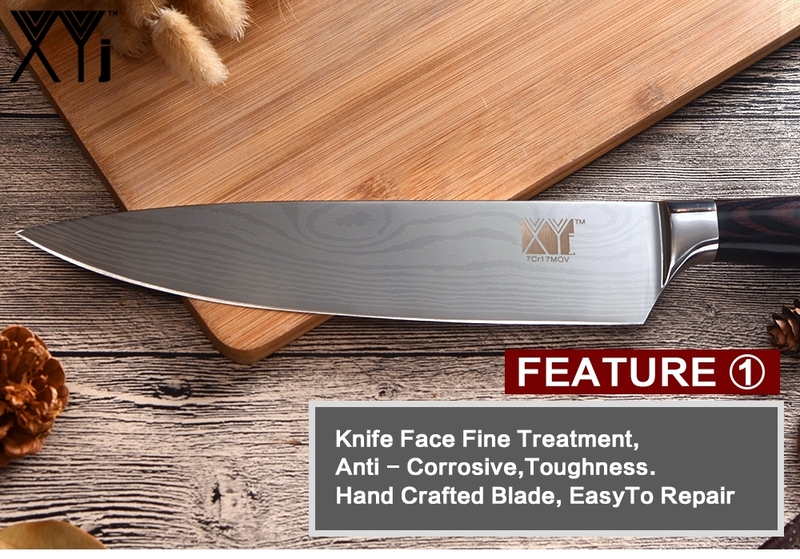 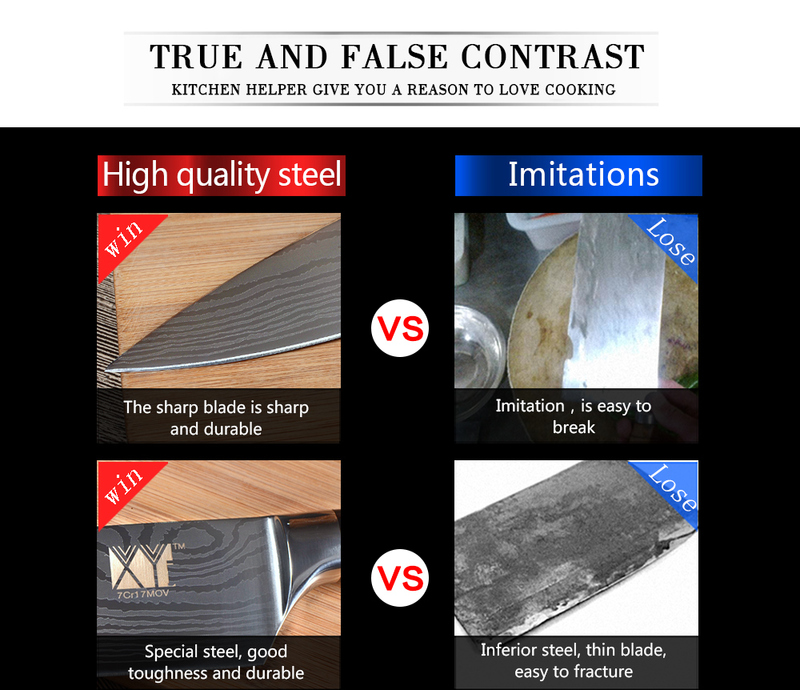 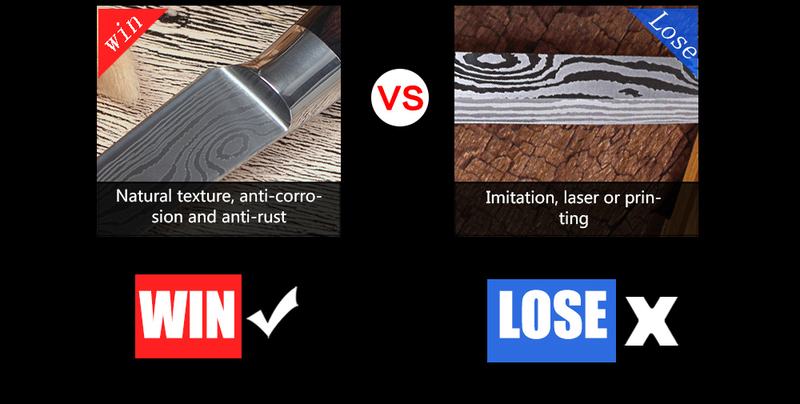 1.Selection of high hardness special stainless steel, hardened multi-procedure and release process, Make a strong knife, Sharp, and durable cooking tools. 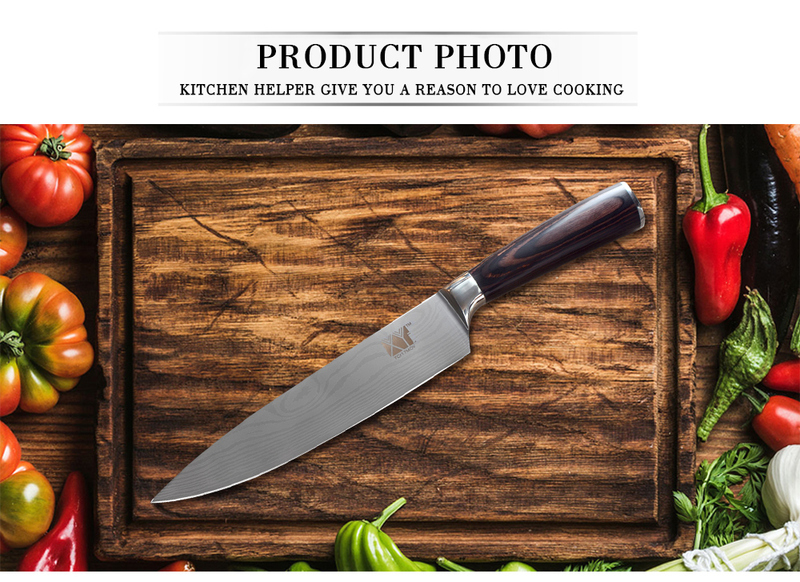 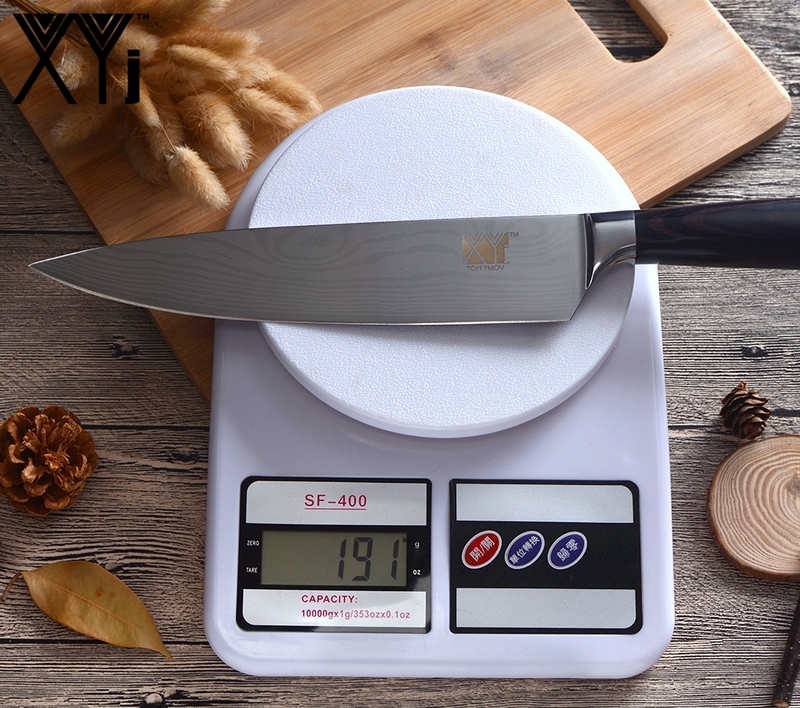 2.The stainless steel knife suitable for cutting vegetables, fruits and meat, etc.Bring about unbelievably well and sharp edge, so the kitchen knife is very easy to use. 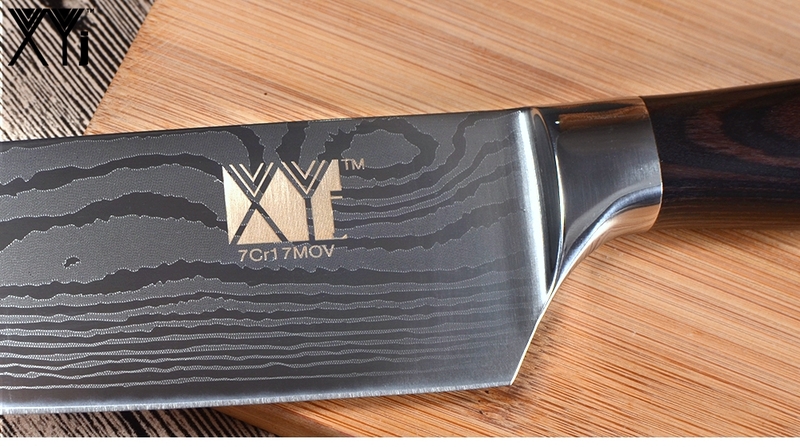 3.It has a beautiful Color wood handle and Flowing sand pattern design on blade. 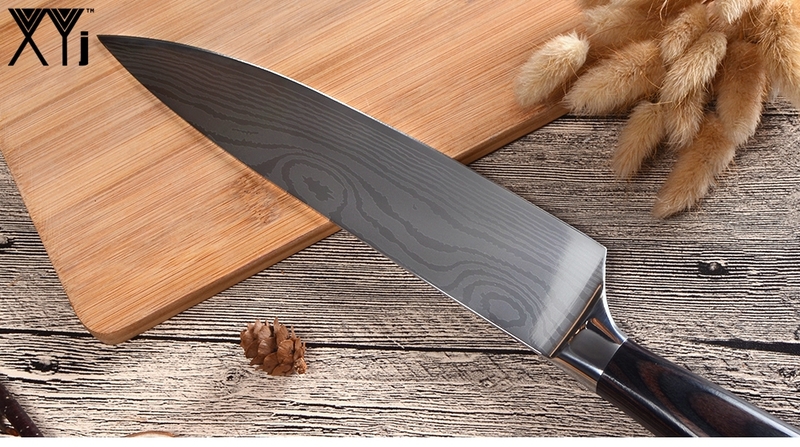 4.The cooking knives suits as a pretty gift. 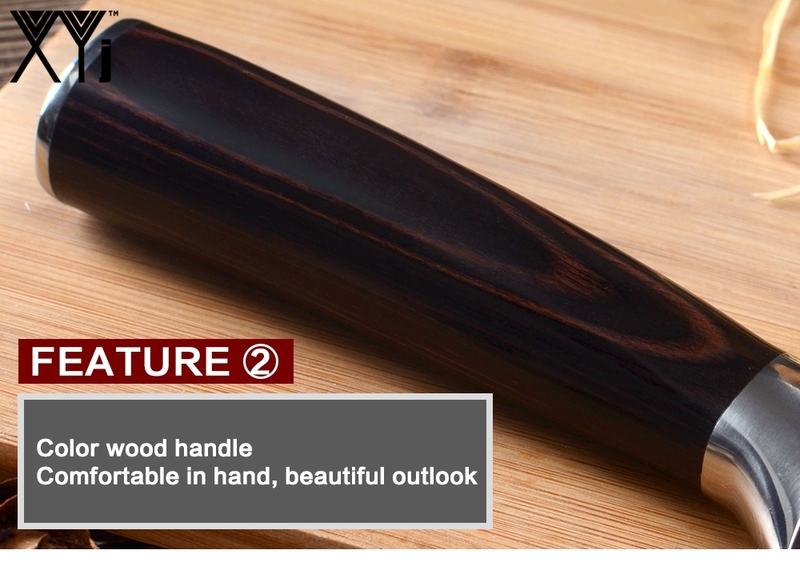 Please wash by hand.